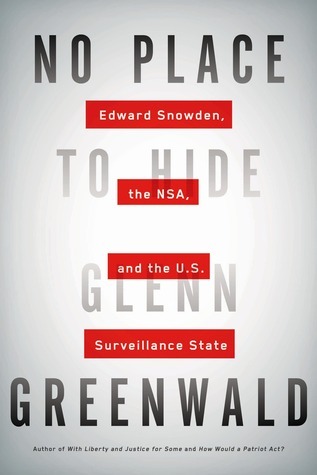 I want to start by thanking Mr. Snowden and Mr. Greenwald for their uncompromising dedication to giving the NSA violations air time and transparency. I wanted to share some of the most important things I have learned from this book before I tell you to go read it. 1. The Security Industrial Complex is a monied and powerful interest that potentially operates outside of the traditional constitutional structure, which means that any attempts to defund by Congress, decommission by future presidents, or declare unconstitutional by the Courts are important... but maybe difficult to dismantle. I'd be concerned of middle management or appointees leveraging elected officials to keep the NSA alive. And even if they did, couldn't these operations continue secretly? The whole point is that these were secretive anyways. 2. The press is totally leveraged. Institutions that I had trusted like the Post, the Times, etc. are intertwined with the rest of the Security Industrial Complex, and on their own volition choose to not give air time to critical stories. The gatekeepers: editors, lawyers, etc. routinely kill stories, call for criminalization of First Amendment journalistic coverage, and act as mouth pieces for the well connected elite in DC. Moreover, the existence of the revolving door in the media and government should give pause to Americans as the people change little when they go from gov to media or vice versa. They have the same interests. And conglomerates exacerbate the monotony of conversation. 3. Obama, the worst President in recent times as it regards to protecting whistle blowers, is involved in directing the story as much as he is culpable for extending and evolving NSA programs. Seriously, things are not secure for the average citizen, who may believe that these are all done for the safety and security of the US... so that we have no more 9/11s... but that is a myth, a charming myth told to us to justify a program whose success has neither lived up to the violations of our rights nor the financial expenditure, however much it is. Sign into Goodreads to see if any of your friends have read No Place to Hide.